This year’s Gallery Director’s Exhibition Award for the Photo Book Works exhibit is awarded to a Amandine Nabarra-Piomelli. Amandine’s work will be featured in a solo exhibition in the gallery’s Reading Room in 2014. 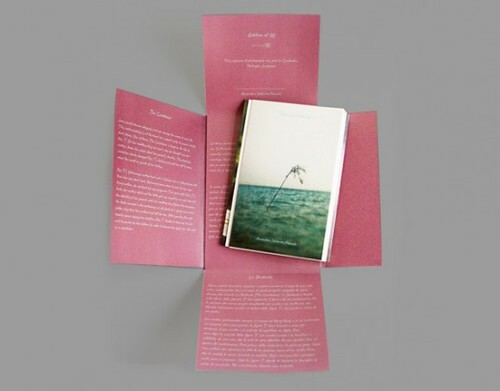 In addition to working with the book form, Amandine works in photography and installation. 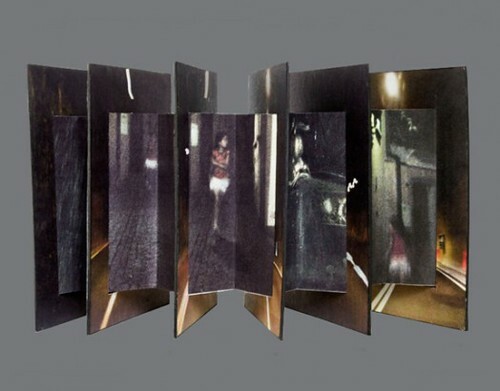 She embraces the fact that the artists’ book can bring physical movement and create a tension to otherwise static images. 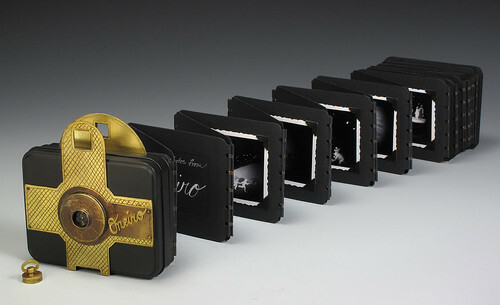 Her work in both installation and books creates an interactive opportunity for her audience to view her photographs. Her work is primarily narrative; her image based narratives not text dependent. She photographs from a stance of curiosity about individual identities and how we all navigate through our world. Amandine’s skill is in presenting navigations not only in the physical realm, but in the realms of spirit, emotion, psychology and body. These visual journeys combine a poetic and documentary sensibility, each image contributing to a a story that may span across multiple projects or series. Amandine is skillful in drawing connection between people, places and objects in unexpected ways allowing her narratives to be both linear and fragmented. Amandine treats the structure of her work as integral to the narrative, choosing supports that convert the concept of her projects. She is a gifted photographer and skillful craftswoman. Amandine lives both in California and Italy. She has attained international recognition, exhibiting in the US, throughout Europe and Australia, with works held in prominent international collections such as Le Centre Pompidou in France, the Art Institute of Chicago and Bibliotheca Librorum Apud Aritificem, in Sydney, Australia. Last year she was recipient of the Masquelibros prize in Madrid, Spain and Familiar Relics award in Nashville, Tennessee, USA. It is an honor and a pleasure to exhibit Amandine’s work and we are looking forward to seeing what shape her Reading Room installation will take. You can learn more about her individual book works here. Photo Book Works is an international exhibition of artists’ books incorporating photographic imagery and/or processes as a primary element. This is the third Photo Book Works exhibition Abecedarian has hosted and, although the exhibition’s parameters remain the same, the works in this show are more varied in approach and content than in exhibitions past. Click here to view the online catalog of the exhibition. The works in this exhibition do much to support the viewpoint that the physical, printed book is most emphatically not on its way out, as some loudly proclaim, but rather that the book as physical object remains and will remain a constant. 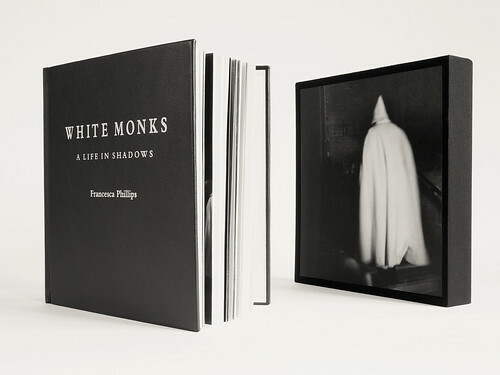 The exhibition is juried by Rupert Jenkins, a former letterpress compositor who is director of the Colorado Photographic Arts Center, and also combines works from the collection of Abecedarian gallery director Alicia Bailey with selections from the holdings of private collector Carol Keller. 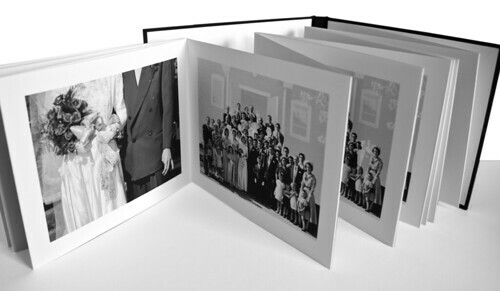 Photo Book Works represents artists from the United States, Great Britain, The Netherlands, Spain, Canada, Argentina and Australia. As Jenkins notes, the books in this show have one commonality – their innovative use of images in book form. Most noticeable to the gallery visitor are the varying strategies employed by the artists, who weave visual stories not just through their imagery, but through the diverse materials and structures they have chosen. 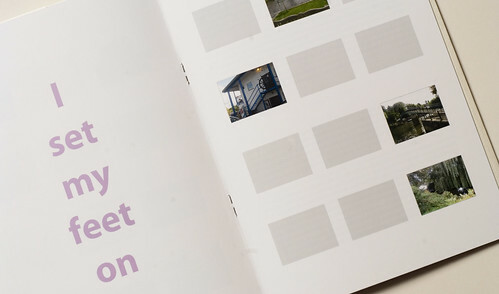 Some of these structures are comfortably familiar to the lay-person more used to a traditionally bound, linear approach to photography books. 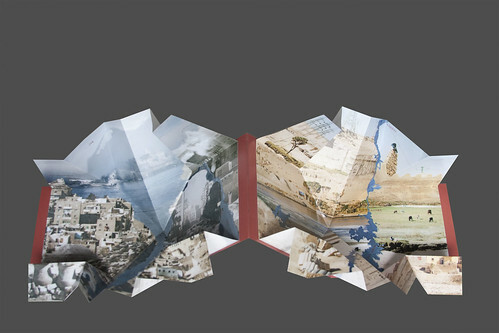 Others incorporate pop-ups, woven imagery, concertina folds, metallic surfaces, or loose objects to fully exploit the potential of marrying single images with the book form. 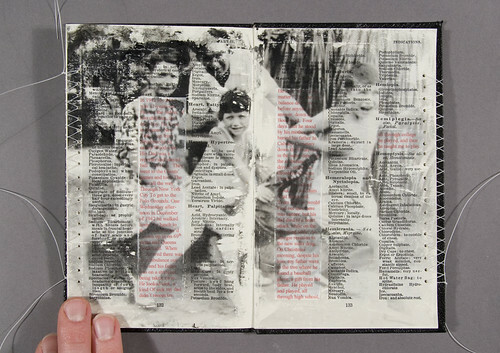 Photo Book Works is an international exhibition of artists’ books incorporating photography as a primary element. 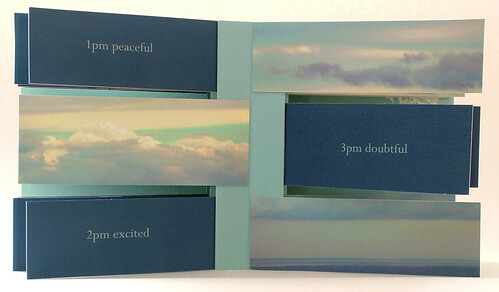 Photo Book Works was juried by Mia Semingson whose exhibition 39+ is on view in the main gallery. For this exhibition, Semingson selected the work of 31 artists from the United States, Great Britian, Switzerland and Australia. “The artists included in this exhibition bring their images back to the tangible realm and weave visual stories not just with images, but with the materials they have chosen and the structure that houses their work. All of these ingredients deliver the artist’s concept to the viewer.